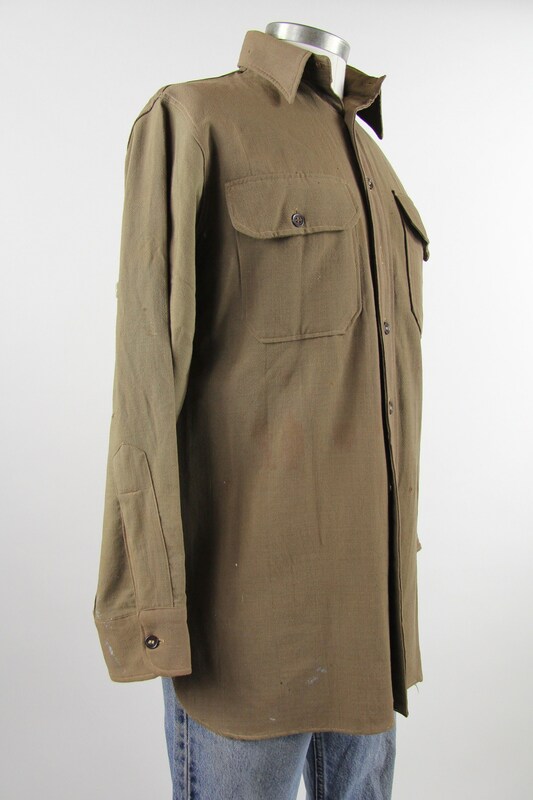 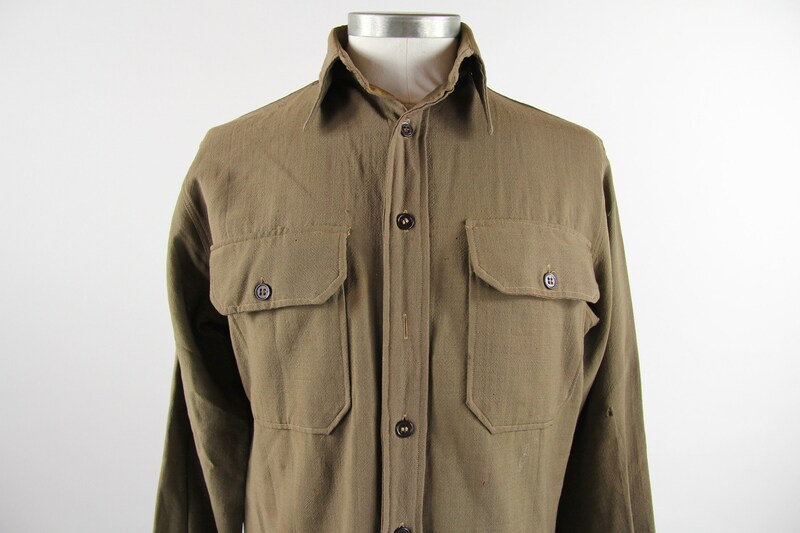 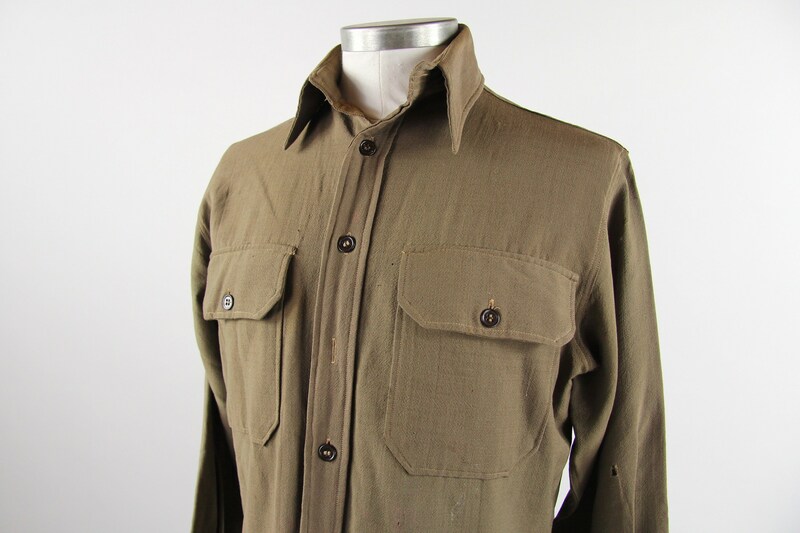 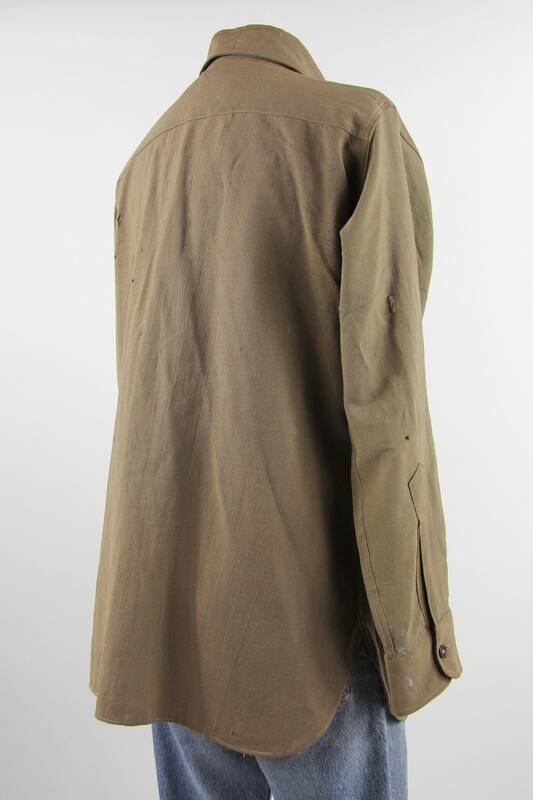 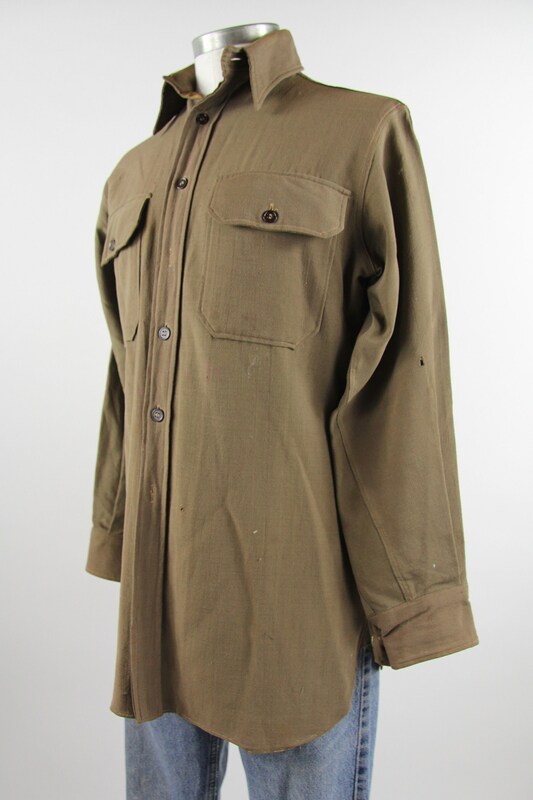 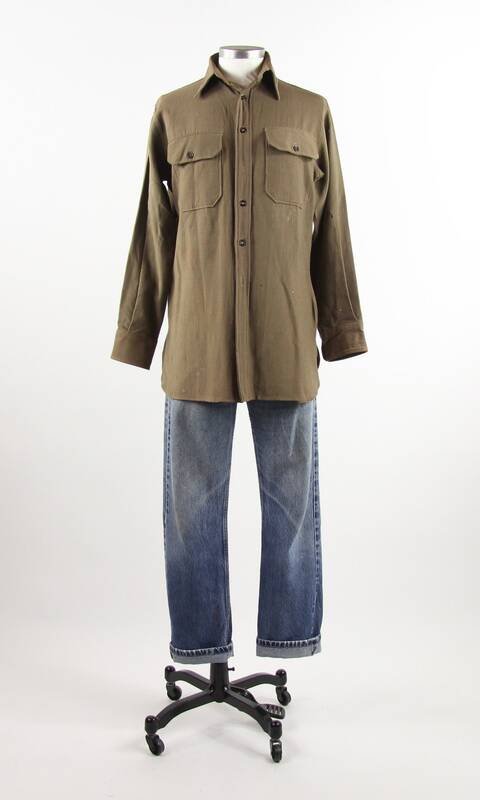 An authentic vintage Australian military work shirt. 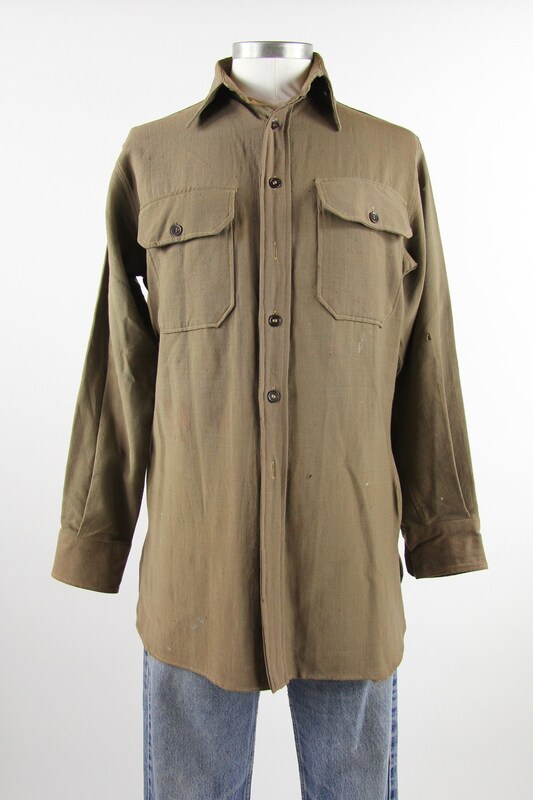 Distressed throughout with pinholes, discoloration, fading, and some spots. 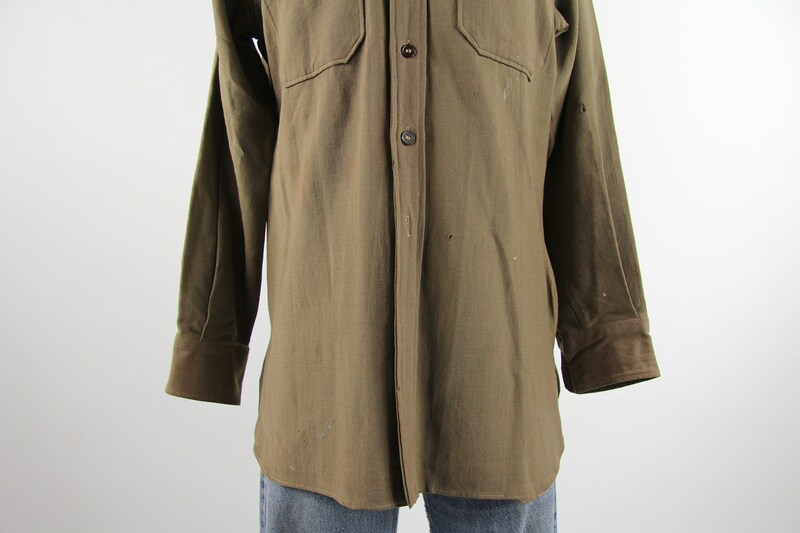 Pinhole under right armpit and on left elbow. 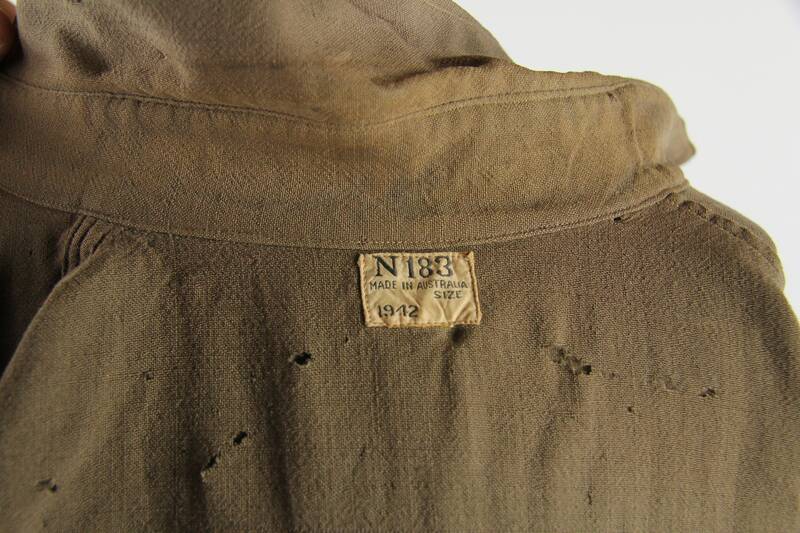 Pinholes on back. 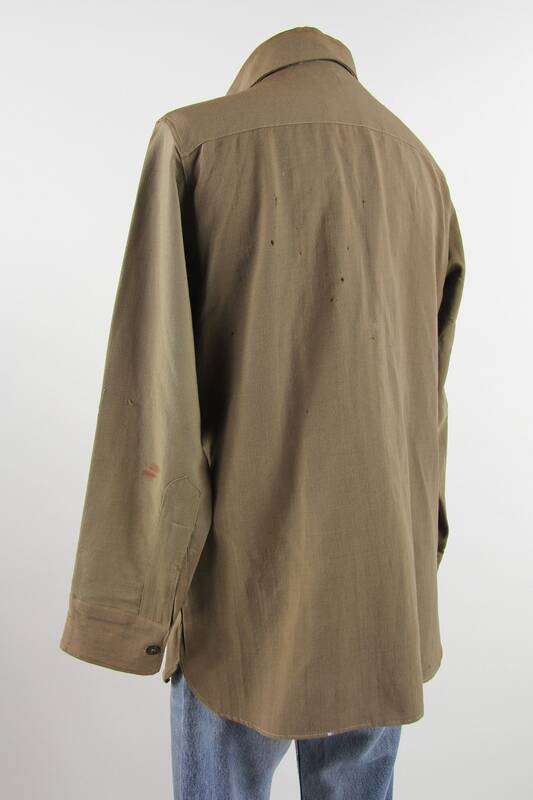 Red paint stains on front and arms.